Debt relief is a broad term used to explain the different financial strategies that can help a debtor get out of debt. Some of the debt relief strategies include debt consolidation, debt settlement and debt management. Some reputable companies like National Debt Relief – http://www.nationaldebtrelief.com/ offer such services as part of their solutions for debt relief. Below are 2 methods of getting debt relief through the use of unsecured and secured business loans. Well, first things first. You probably want to know what an unsecured loan is, and how it differs from its secured counterpart. Secured loans are provided using possessions as collateral. Unsecured loans for business are offered solely on the applicant’s credit worthiness. There is no collateral necessary in order to secure an unsecured loan, even with an extensive mortgage checklist. Unsecured loans are perfect for those with great business credit ratings. However, if your business credit score or personal credit score is not in tip top shape, you will find that a secured loan is a better fit for you. Consider both options before you decide to procure business funding. There are several different types of unsecured loans. However, many consumers are still under the misconception that unsecured loans are a single type of financial relief solution. This is not true. Unsecured loans can come in three different varieties. Credit cards are a type of unsecured loans. Student loans are also often another type of unsecure loan. Personal loans, as well, can be an unsecure loan. It is important to understand that even within your narrowed scope of searching for unsecured business financing, there are several options available to you to improve your financial standing. By getting an unsecured business loan, such as a business loan, you could get good terms to pay for all your other loans and therefore get some relief from your debt. In order to get an unsecured loan, you will need to consider the following. If your credit history or if your credit score isn’t too badly damaged by your debt, you should be able to get a personal loan with good terms. The important thing to consider here is the terms of the loan compared to your current debt. Unsecure loans can have expensive rates and terms that should be carefully scrutinized. Ideally, the plan is to get a personal unsecured loan with better terms than your combined debts, and use it to pay off all your other debts. You will then be left paying off a single loan that has better terms. If you manage to do it right, you could end up paying less than what you ought to be paying on all the individual loans. If you want to benefit from this form of debt consolidation, you want to ensure that you are making all the repayments on time. Do not sacrifice a loan payment just to invest in another franchise for sale. Prioritize those payments to eliminate business debt as soon as possible. If you have limited options or no options to borrow from a financial institution, your best bet is often to turn to family and friends for help. That said, family and friends should be a last resort because borrowing from them could cost you the relationships if you are unable to pay the money back. Under this circumstance, the loan would not be included in the unsecure loans category. You could also get rid of debt through the use of a secured loan that is large enough to pay for all your other loans. 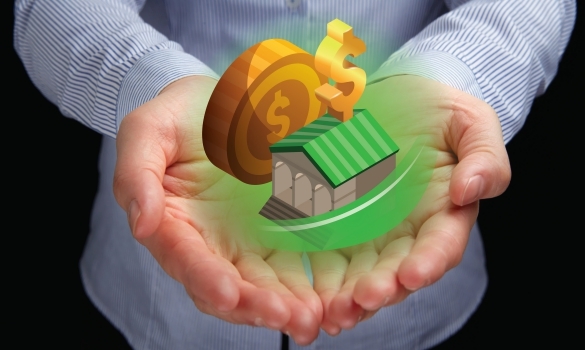 In order to get a secured loan, you will need to consider the following. If you have some assets that you could use to get an unsecured loan, then this can be a good alternative for you to finance your Farmers insurance policy. Secured loans include using a home equity loan, or using a car loan. These loans could be acquired from financial institutions such as banks, credit unions or even title lenders. When getting secured loans, it is important to ensure that you can repay it because if you don’t, you could lose the property that you are using as collateral for the loan. As a student, I signed up for many unsecured loans, and, as a result, I’m struggling with paying back my debts. I’m trying to stick to the repayment plan, but it’s difficult when the payments are almost the cost of my entire paycheck. Do you know if there are any debt relief programs? The concept of secure and unsecure loan described in this article is good enough to know basic terms that will be needed in future, but this article is not enough source of complete knowledge. Good description on how to get debt relief using this key term ideas. Every debt is like burden for everyone but it is more secured then there is some relief as we feel debt is in secure environment. But I like this article very much because all the included points are well highlighted. But borrowing from friends and family is like loan from personal contacts it is kind of debt only but not bad option. The way of differentiating between the unsecured and secured loan in this article is just awesome. Being an unprofessional or can say an amateur I have gone for the option unsecured loan many times and have also faced many crucial times that just made me to go in trap. Since the time I read this article I feel now that I weathered an ordeal and would suggest everyone, before heading off for any loan option just go through this article once as in this article the consequences and benefits of both types are written in a very well and profound manner.